Jason Aldean, Luke Bryan, Kenny Chesney, Chris Stapleton, and Keith Urban were all up for the 2018 CMA Awards' Entertainer of the Year honor! 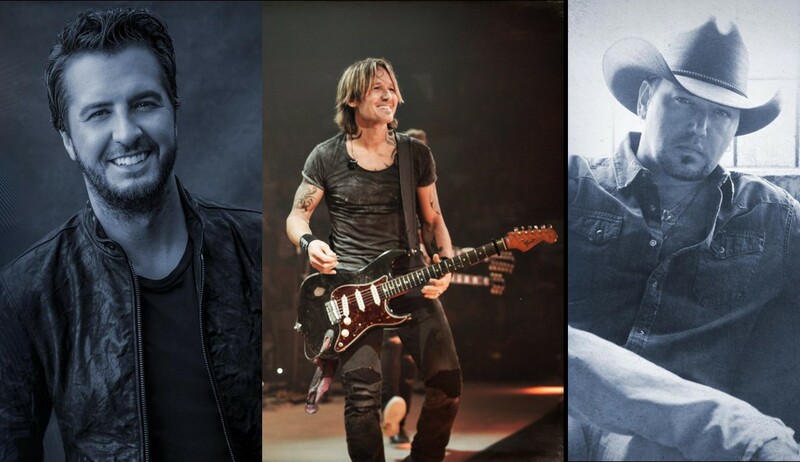 In the ultimate face-off between Jason Aldean, Luke Bryan, Kenny Chesney, Chris Stapleton, and Keith Urban—– Keith Urban was honored with the coveted Entertainer of the Year title! Congrats! Take a look at past Entertainer of the Year winners below! The CMA Awards nominees and winners are determined by the more than 6,300 industry professional members of CMA, which when established in 1958 became the first trade organization formed to promote an individual genre of music. The first CMA Awards Banquet and Show was held in 1967. The following year, the CMA Awards was broadcast on NBC television for the first time – making it the longest running, annual music awards program on network television. Albums and songs released between July 1 of the previous calendar year and June 30 of the award show’s year are eligible for consideration.